In sanitary sewage about 75 % of suspended solids and 40% of filterable solids are organic. These solids are derived from both animals, plant and humans. Organic compounds usually consist of C; H; O; N along with S; P and Iron. 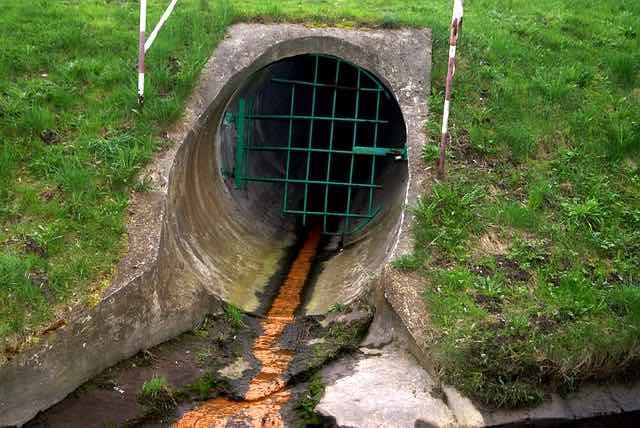 The organic substances found in sewage are Protein (40-60%); Carbohydrates (25-50%), fats and oils (10%). Along with these organic compounds small amount of synthetic organic compounds like VOCs, pesticides, insecticides, Organic Priority Pollutants are also presents in sewage. Sewage also contain inorganic substances. Tests like BOD, COD, Nitrogen, phosphorus, alkalinity etc. give the chemical characteristics of sewage. When sufficient O2 is not available Anaerobic decomposition occurs by different microorganisms. They produce end products that can be highly objectionable, including H2S; NH3 and CH4. Such products are usually unstable. Bacteria placed in contact with organic matter will utilize it as food source. In the utilization of the organic material it will eventually be oxidized to stable end products such as CO2 and H2O etc. The amount of oxygen required by the bacteria to oxidize the organic matter present in sewage to stable end products is known as biochemical oxygen demand. BODu is the maximum amount of oxygen usage by microorganisms over a long period of time. A good measure of maximum bioavailability. BOD5 is the amount of oxygen consumed (in mg/L) over a 5-day period at 20 oC (in the dark). BOD5 is a measure of the bioavailability over a 5-day period under controlled conditions. Carbonaceous biochemical oxygen demand or CBOD is a method defined test measured by the depletion of dissolved oxygen by biological organisms in a body of water in which the contribution from nitrogenous bacteria has been suppressed. CBOD is a method defined parameter is widely used as an indication of the pollutant removal from wastewater. It is listed as a conventional pollutant in the U.S. Clean Water Act. In addition to CBOD and NBOD measured, there are two other indicators to describe the oxygen demands of wastewater. They are Chemical oxygen demand and theoretical oxygen demand. The biodegradable organic matters are degraded completely by microorganisms either by CBOD or NBOD. There are some organic matters like cellulose, phenols, benzene and tannic acid which are resistant to biodegradation. Similarly, other organic matters like pesticides, insecticides and various industrial chemicals are non biodegradable and they are toxic to microorganisms. The COD is a measured quantity that does not depend on microorganisms. To calculate the concentration of oxygen for non biodegradable materials a strong oxidizing agent known as potassium dichromate will be used. The COD test is much quicker than BOD test, but it does not distinguish between the biodegradable and non biodegradable organic matter. The measured COD is usually more than BOD if there is non biodegradable impurity present. If all are the biodegradable organic matter, then COD remains the same as that of BOD. Roughly the BOD/COD is 0.4 to 0.8. Organic matter of animal or vegetable origin in wastewater is generally a combination of carbon, hydrogen, oxygen, nitrogen and other elements. If the chemical composition of an organic matter is known then the amount of oxygen required to oxidize it to carbon dioxide and water can be calculated using stoichiometry. This amount of oxygen is known as Theoretical Oxygen Demand. If that oxidation is carried out by bacteria then it is BOD, if by chemical process then it is COD. If a combination of both then it is TheoD.